A National Collegiate Marching Championship? Every two weeks local officials, business owners and most importantly marching band fans meet in Columbia, South Carolina to continue moving forward their dream, a championship weekend for college marching bands. In exactly one year the first ever National Collegiate Marching Band Championship and Festival will kickoff in Columbia. "We’re thrilled to welcome the inaugural National Collegiate Marching Band Championships and Festival to Columbia, and we’re even more excited to take part in what will be a fun and talent-filled few days," said Mayor Stephen Benjamin of Columbia, South Carolina. For years we have watched college sports get their moment to perform on the biggest stages for a shot at a National Championship. They practice and play and practice and play for months and months hoping for a chance to win the most coveted trophy of their sport. However, college marching bands have never had that opportunity. 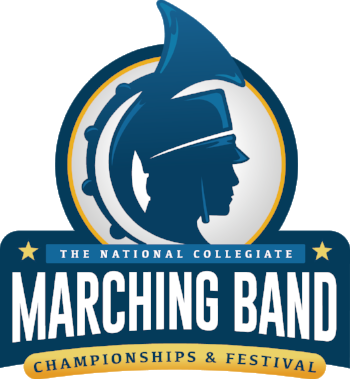 The National Collegiate Marching Band Championships and Festival (NCMBCF) is set to become that pinnacle event each year held during championship weekend of the college football season. Before bowl season and after the marching season has ended for the majority of college bands, was the perfect time to bring the band world together. The event will work in two parts allowing for corps style and show bands (HBCUs) to compete while the more traditional college bands like a Texas or Penn State will be showcased in the festival. This will allow fans to see the full scope of styles that collegiate bands bring to the field. The weekend will kickoff with the largest parade in the history of the state of South Carolina through the streets of Columbia and leading up to the bands taking the field at Spirit Communications Park. "I hope the event brings entertainment, excitement and a new experience for residents and visitors of Columbia, " Said Mayor Benjamin. "There will be several very talented bands participating that weekend, and I hope people who may not know much about marching bands will come out to see why people, rightfully, get so excited about watching bands perform." Other state leaders have also joined in to support and help the event get off the ground including Barry Coats, President and CEO of the Special Olympics of South Carolina, Inc.
“Special Olympics South Carolina is excited to partner with the inaugural NCMBCF. It is great to see projects such as this being driven by fellow community leaders in an effort to give back to the community in which they live. We look forward to a successful first year with NCMBCF,” said Coats. Many bands across the country have expressed huge interest in competing and marching in the festival. This includes some of the giants like Jacksonville State University. Travel arrangements and budgets are being organized by the bands in preparation for the event. It's happening. The event plans to host up to 19 bands for the inaugural weekend. "We want to see Columbia become to marching bands what Omaha is to college baseball- the permanent and perfect host city for the annual National Collegiate Marching Band Championships and Festival," said Bob Lane, Commissioner of the NCMBCF. The festival component will allow for bands to showcase themselves in all their glory without any form of judging. Traditional college bands are typically opposed to competition which is why the festival component is a great way for them to participate as well. The competition side will feature corps style bands that will be judged in the DCI/BOA style. Only the corps style bands and show bands will be crowned National Champions. The corps style bands will be broken down into two categories based on size of the band, over 200 winds and under 200 winds. The show band style bands will have an open competition focused on musicality, showmanship and crowd reaction. Across the northeast band festivals have successfully brought together regional bands to be showcased to high school students in the area. Now bands from across the country will have the opportunity to perform in front of thousands of band fans outside of their home area on a scale that we have never seen before. "This Festival is a celebration that so many generations of bandsmen have earned and will now be a reality. I am sure it will be an emotional time for many of us when we see this happen. We literally have waited all of our lives for this moment. I am sure America will embrace it," said Lane. Fans will be able to buy weekend passes and single day tickets for the competition next summer. A ticketed live streaming option is also being considered for fans who can't make it in person.